You have no idea how much I was looking forward to the day one of my top sentimental favorite Korean actors FINALLY received justice from the Korean entertainment establishment so that he could appear once again in a Korean drama after an almost four year absence on the small screen, due to a ridiculous manufactured "scandal" orchestrated by two lying women through blackmail. I have good gut feelings about people and there is no way in heck that this gentle actor Park Shi Hoo was guilty of what they accused him of, which was proven when the case was dropped for lack of evidence against him, and also when they found incriminating evidence of blackmail instigated by the two women on their cell phone texts. "He'll pay up, he's loaded." These kind of lying, blackmailing women should have gone to jail, like the ones who did the same thing against actor Byung Hun Lee. Extortion, even by any other name, never smells sweet. Enough about smarmy things in the past. I ended up really liking this Korean drama a lot, Neighborhood Hero (2016). It seemed gritty and realistic, with a touch of romanticism, while also showing characters who grew into better, smarter, more likable people by the end of the show. I love to see phenomenal character growth in Korean dramas like this; I think that is the K-drama quality which keeps me addicted to them most of all. American TV shows almost always show static growth in their characters, meaning the way the characters are at the end of a series is just exactly how they were at the beginning of the series. Boring. If there is no personal growth and increasing maturity of main characters in a story why even bother watching in the first place? years old here? He looked 25! LOL! 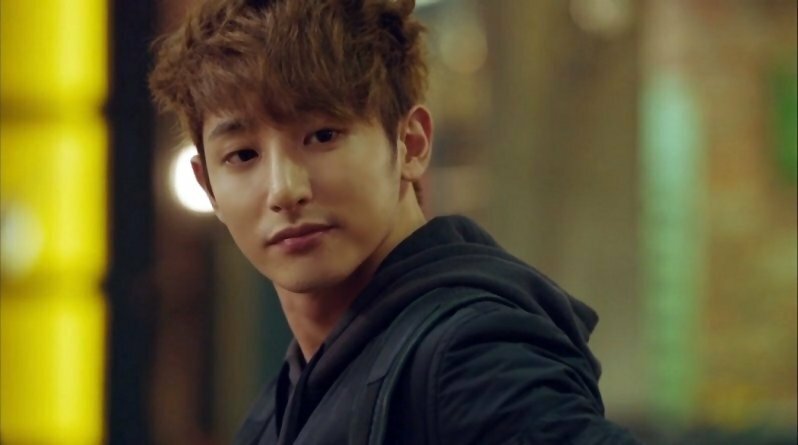 I personally think Park Shi Hoo's forte is romantic comedy, ever since I watched Cheongdam-dong Alice (2012) in which he was 100% BRILLIANT! However I know he's great at melodrama too, because of his biggest hit, The Princess' Man (2011), and Hero gave him a great chance to show his strengths in that genre again, plus good dexterity and martial arts skills. I just hope his next K-drama brings him predominantly back to romantic comedies again! (yes, I'm very biased where he is concerned). When he did smile in Hero it was like the heavens opened after a dark thunderstorm and poured the sunlight down to earth. And he even had a scene in this drama where he did the tango in a dream sequence. I was thrilled; I know how much he loves dance and excels at it, but they've never shown him dancing a formal ballroom type dance before in his dramas. "Who is this Masked Man?" were out of 100 Korean actors! A former intelligence agent for the CIA, Baek Shi Yoon was imprisoned for three years after his secret mission against corrupt international corporate gangsters, who were seeking to collapse a portion of the Korean economy, failed in Macau. Tragically the failure of the mission caused the death of his close colleague Jin Woo (Ji Il Joo) who was strangled to death with a wire around his neck, right in front of Shi Yoon's eyes, and those of his shocked female colleague Seo Ahn (Choi Yoon So) with whom Shi Yoon had fallen in love. The two surviving agents were extricated from their predicament and were able to survive, but faced negative consequences which removed them from the secret service sector permanently. After being released from prison Shi Yoon buys a bar in the city simply called "Neighborhood", from a former agent, President Hwang (Song Jae Ho), who is retiring and wants to sell the popular hangout. He says he will sell it to Shi Yoon under one condition: that he keep on as an employee his female manager nicknamed "Writer Bae" (Kwon Yuri). Shi Yoon agrees. He gets a kick out of her because when there is a lull in bar traffic she is writing mystery and espionage novels, hoping to publish them someday. 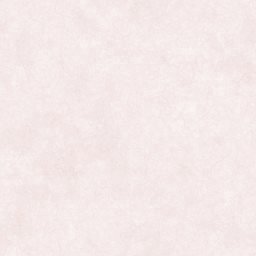 He knows what she is writing is often silly and unrealistic, because of his own real background as an agent, a fact he tries to keep secret from everyone for as long as possible. At first I thought Shi Yoon would fall in love with her, but that was nixed when his former girlfriend Seo Ahn walks into the bar one day and sparks fly between Shi Yoon and Seo Ahn again after a three year separation. Shi Yoon doesn't just want to run the bar to make a profit, or to make friends in the area, but also as a cover for his intentions to get to the bottom of who killed his colleague Jin Woo three years earlier. He figures with so many agents and cops and operatives hanging out at this popular place he might be able to uncover some information about his friend's murderers. One of the people who hangs out at the bar a lot is senior detective In Tae Ho (Jo Seung Ha), a married father of three, hard up for money to support his family, who foolishly takes on off hours PI work for a shady employer Park Sun Hoo (Ahn Suk Hwan) who claims he wants to check up on the status of former agents to make sure they are okay. Sun Hoo, in turn, is really working for the bad guys, the same corporate gangsters who wish to wipe out a whole section of the Korean city known for its cultural history (where the bar is located) so they can build a huge profitable skyscraper in its place. Sun Hoo has lots of dirty tricks up his sleeve and uses people to achieve his wicked goals. How long will it take In Tae Ho to realize how he is being used, how the extra money isn't worth it if it compromises his standing on the police force? The bad guys, on the ground level managed by the ambitious Yoon Sang Min (Yoon Tae Young), intimidate the residents through implied threats to their businesses and homes, and through occasional violence. 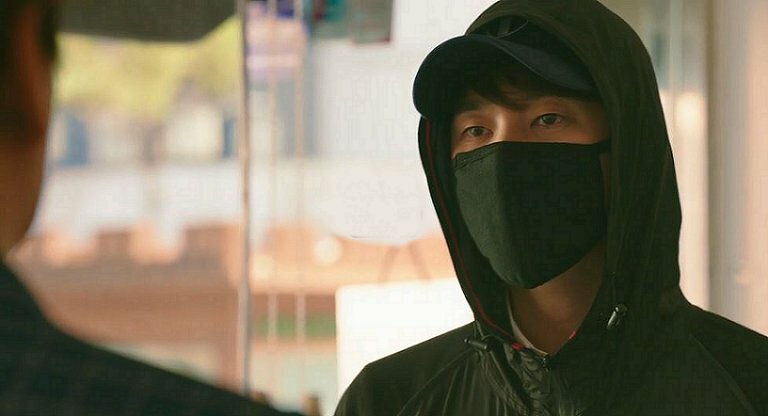 When Writer Bae and her best friend and roommate Kang Ri Soo (Kang Kyung Hun) are walking through the cultural area one night they are accosted by goons and suddenly a masked man dressed in black intervenes and saves them from being hurt by punching out the bullies. Writer Bae goes back to the bar and starts boasting that the cultural area of the city now has a "Shadow", a savior who will interfere with the assaulters who roam the area. Writer Bae makes the mistake of thinking that this "Shadow" is a young frequent patron of the bar named Choi Chan Gyoo (Lee Seo Hyuk from Shark), who is only too happy to let them think that way because he develops a crush on Writer Bae. However the audience knows all along our savior the "Shadow" is none other than Shi Yoon himself. He wants to lay low most of the time but not when he sees his new friends being attacked or threatened or bullied. Chan Gyoo also is hired as a snoop by the nefarious Sun Hoo, and because he needs the money he does so ... until Sun Hoo feels the heat closing in on him and commits suicide. Shi Yoon takes Chan Gyoo under his wing and teaches him stealth tactics to chase down secret information the corporate "New York Study Group" (the alibi of the group who had killed Shi Yoon's colleague Jin Woo) wants hidden. The more the group threatens residents the more their tactics get their collective backs up, and the more they stand together to keep the goons out of their area, their businesses, and their families. organizers for defending the neighborhood! The show is very exciting every step of the way. One by one the corporate bullies and their allies and hired assassins share a just fate, which is very satisfying to watch. Shi Yoon is able to take his revenge but through the law, not by independent means. One thing I would have changed though was the number of times they reminded us of how Shi Yoon's buddy died in episode one; that gruesome strangling with the wire was played over and over again thereafter, as if we the audience could ever forget it. Once was enough! I know some folks come in late to a drama but why should the faithful viewers who watch from beginning to end be penalized because of that? One scene I particularly loved was when Shi Yoon went to visit the mother of his lost buddy in the culture district. She ran her own small restaurant and he is shy about approaching her, feeling guilty, but when he does inform her of his real identity she hugs him and tells him her son's death was NOT his fault, that he shouldn't blame himself, and even more importantly, that she loves Shi Yoon like her own son. 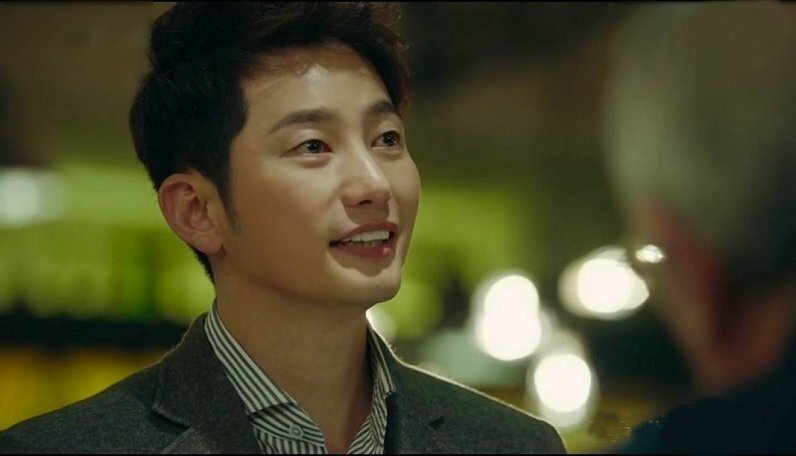 I cried hard at that scene, it was so beautifully done -- Park Shi Hoo's sensitive face had just the right combination of emotions on it. Bravo! This was a very good, solid vehicle to bring back one of my top favorite K-drama actors. 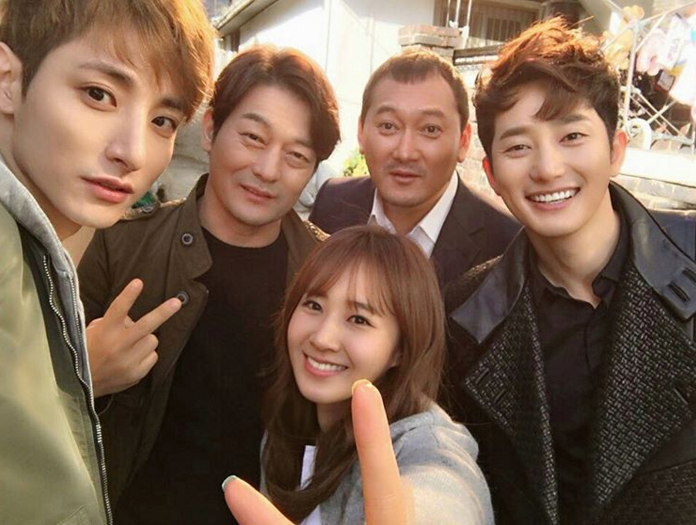 Enjoy Park Shi Hoo's return to television! I certainly did. You can bet your bottom dollar I made my own DVDs of this show, since I'm such a huge fan of the man.